Hedging or limiting your losses are the strategy adopted only by the most sophisticated investors. These often complex strategies are restricted to evolved investors. At Mentes Kapital our aim to ensure that our clients’ money is smart money and smart money always wins. Irrespective of the market turmoil. 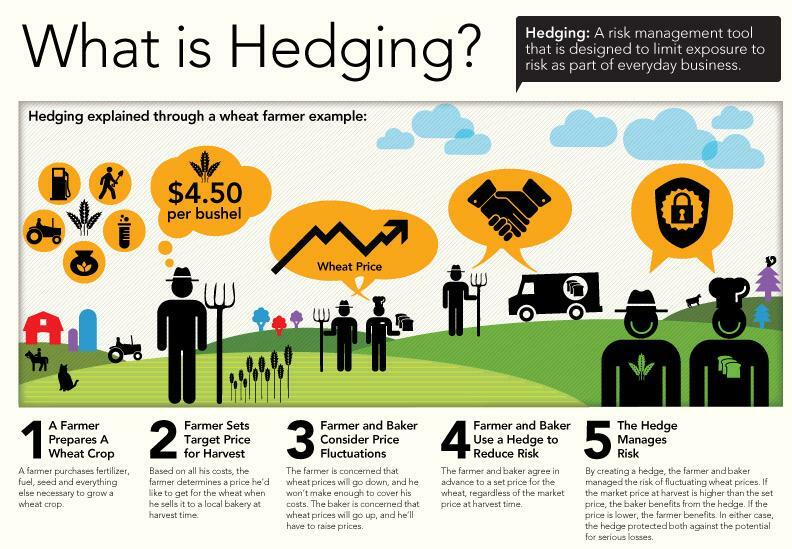 The best way to understand hedging is to think of it as insurance. When people decide to hedge, they are insuring themselves against a negative event. This doesn't prevent a negative event from happening, but if it does happen and you're properly hedged, the financial impact of the event is reduced. So, hedging occurs almost everywhere, and we see it everyday. For example : if you bet on the outcome of India Pakistan Cricket match with your friend for Say Rs 100/- you can hedge your bet by betting in the opposite way of your first bet with another friend. Then you do not care what is the outcome because irrespective of the outcome you will receive and pay cash from one to the other friend. Technically, to hedge you would invest in two securities with negative correlations. Of course, nothing in this world is free, so you still have to pay for this type of insurance in one form or another. Hedging may sound like a cautious approach to investing, destined to provide sub-market returns, but it is often the most aggressive investors who hedge. By reducing the risk in one part of a portfolio, an investor can often take on more risk elsewhere, increasing his or her absolute returns while putting less capital at risk in each individual investment. Hedging can be viewed as the transfer of unacceptable risk from a portfolio manager to an insurer. This makes the process a two-step approach. First, determine what level of risk is acceptable. Then, identify the transactions that can cost effectively transfer this risk. But while hedging can help eliminate the risk of a sudden price decline, it does nothing to prevent long-term underperformance. It should be considered a complement, rather than a substitute, to other portfolio management techniques such as diversification, rebalancing and disciplined security analysis and selection. Illustration of Mentes Kapital Hedging Strategy:- All Our strategies here are designed to limit the downside risk while keeping the upside potential potentially unlimited. Here given in a transparent way is how such strategies are build. We use the TCS Option Chain very often as it’s a solid company and its Options are very popular. We obtain the Prices for February 25th expiration. The downside potential of owning just a stock is hedged by creating a second position in a put option. When the stock price falls the loss of the first position is offset by the profit of the second position. The combined position gives the upside position that have been preserved and the downside limited. Now we turn to a Straddle Strategy. The Initial cost of setting up the strategy is the initial investment. Irrespective of the direction of the movement. 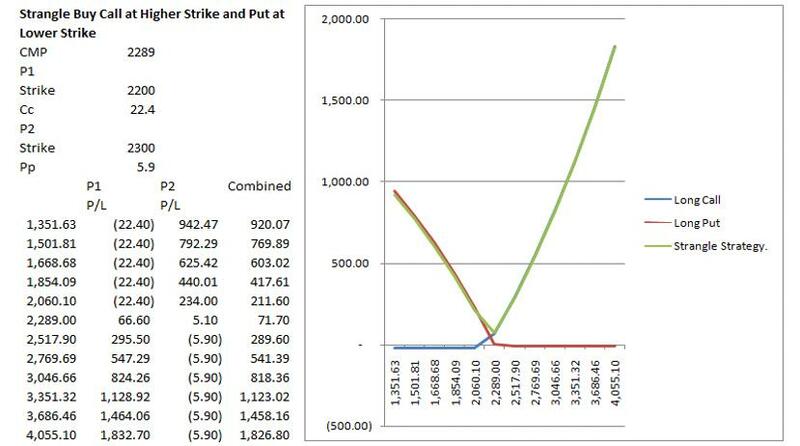 Position 1 is a Call and Position 2 is a Put both purchased at the same strike price. 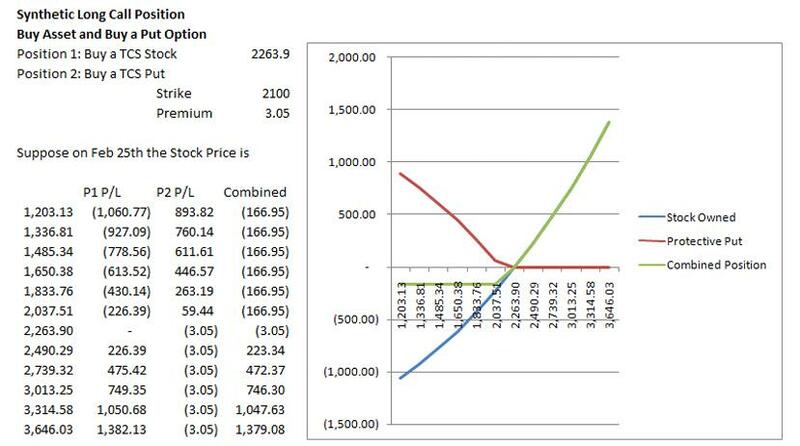 Irrespective of the direction of the movement of the stock the combined column gives the payoff should the stock end up as shown in the left extreme column. Notice One position is making a profit while the other is under water. The next strategy we adopt is a Strangle. 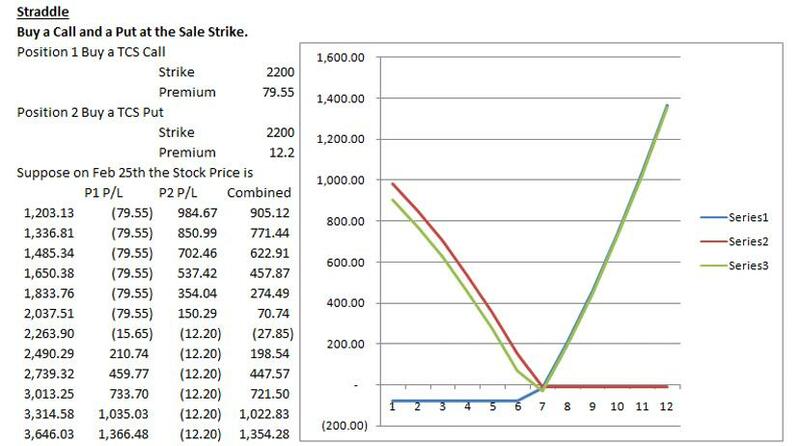 Here too we use two options a Long and a Put but the strike price is different. Now we turn to a Strip Strategy where we are bullish on the stock and yet we have a downside protection offered by the put option. Here we take a Long Position in 2 Calls and a Long Put Position in 1 contract. Therefore in the manner illustrated above Mentes Kapital builds Hedging calls and limits the downside risk while allowing you to profit from the upside potential. Volatility is an important component which decides the success of the above strategies. Options became popular because volatility in the underlying asset makes the options more valuable. Options can also be used to estimate the volatility of the future period although the realized volatility tends to be lower than the implied volatility. Therefore what worries the layman investor becomes an essential tool to profit for an options trader. 5-6 calls in a month. Minimum capital requirement is 50k-1lac for the trade. Calls through SMS Whatsapp,and E.mail etc.